Home Fashion Beauty 10 Best Hair Growth Oils- Stop Hair Fall And Loss Easily! 10 Best Hair Growth Oils- Stop Hair Fall And Loss Easily! When you come across a hair fall problem, it is a delicate situation that you need to handle. However, it can be assured that hair fall rescue is no rocket science. Your hair needs immense pampering, the right solutions, and some patience. While you are looking out for the right solution, there is no harm in knowing the role of hair growth oil in the better nourishment of your hair. So, if you’re wondering which oil is best for hair, read on.. If you want to go au naturel though, and wondering which oil is best for hair, read on..
Also called ‘Arandi’ in Hindi, castor oil is the first option that comes to mind when one asks which oil is good for growing hair faster. It is also considered to be the best hair oil for hair growth and thickness in India. A spoonful of castor oil consumed keeps the body warm during the cold. In other words, it regulates heat, hence, it is much more powerful when massaged on the scalp. With the heat, the blood circulation is smoothened making your roots stronger. Which results in an improved hair quality, increased thickness and volume. It also enables faster hair growth. The oil contains fatty acids that are among the essential nutrients your hair needs. For a dry scalp, this is the best oil for hair growth. It not only moisturizes your scalp, but it also contains antibacterial qualities that keep your hair away from any infections or dandruff. This oil is the best when it comes to conditioning your hair. It makes them lustrous and bouncy with a rich color. 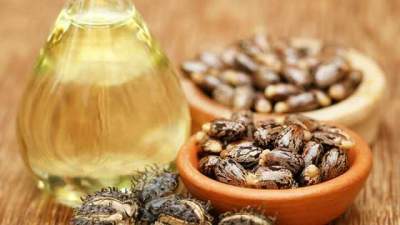 Castor oil can be applied before shampoo. But if you find it to be too much of work, you can add a portion of it to your leave in conditioner. Also, castor oil can be mixed with other hair growth oils for a better effect. It is available in India, there are quite a lot of options to choose from as well. When it comes to selecting the best brand for it, you must select one depending on its rawness. The least refined oil would have the best effect on your hair. Brands like Aloe Veda and Soulflower have proven to have a significant effect on hair growth. There is no end to the list of benefits you get from a coconut. Coconut oil is a blessing for your hair and skin. Frequent use of the hair growth oil has a lot of benefits other than just hair growth. 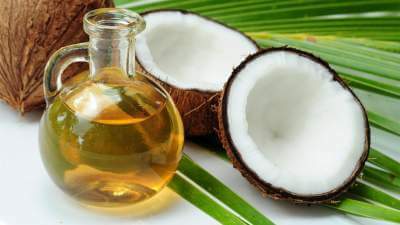 Irrespective of your hair type or problems, coconut oil is always recommended. Also, coconut oil is easier to avail. Coconut oil might not be the best hair regrowth oil for baldness, but the advantage that it has over any other oil is that it is pretty versatile. It is a safe bet for the trial and error method as it suits most of the hair types and causes least damages of them all. A hot coconut oil massage is a heavenly experience. We have used this oil at some point in our life, and we all know just how sticky and ‘oily’ it can get. But very few are aware of the fact that the pure form of coconut oil is actually not that annoying. In fact, you can even style your hair with it when you are going out. But if you are still looking for a hassle-free option, all you have to do is mix a part of coconut oil with any of the hair packs or home remedies for hair and the wonders of it, first hand. Parachute is almost synonymous with coconut oil. Although all the Parachute products are great, the best ayurvedic hair oil for hair growth, Parachute Ayurveda Hot oil, in particular, is recommended over the regular one. Coconut oil is easily available in the markets, so put in some more efforts and find a more pure form of it. Before you start treating your hair with any remedy, it is important that you understand what your hair needs. Consider your hair an equivalent of a sapling or plant, that needs a lot of care and pampering. Just like each plant has different requirements for their growth, each individual has different answers to how to use essential oils for hair. The first step is to understand your hair type depending on its porosity, oiliness, density, etc. Based on which you can choose what hair growth oil would best suit your hair. Once you understand your hair, and the nourshment it needs, the process of beggining hair repair becomes a lot easier. This oil originates from a tree found in Morocco. Argan oil is rich in tocopherols (Vitamin E), Vitamin A, and several fatty acids that are beneficial for your hair. The main ingredient in argan oil is the caffeic acid which plays an essential role in conditioning your hair. 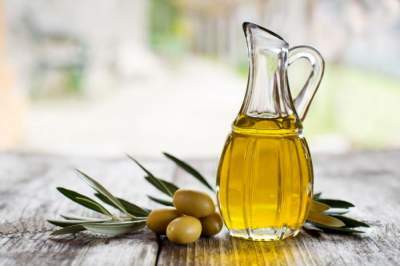 In fact, because of this property, the oil is capable of taming frizziness of your hair and when used right, can be the best hair oil for men, women, and children. Hence, using argan oil instead of any other styling agent as a chemical-free substitute also helps. Nowadays, many cosmetic companies have started to include this ingredient in many of their high-end products due to its effective qualities on the hair and skin. Argan oil is also being used for many hair regrowth treatments as it supports and enables faster cellular growth. Argan oil as compared to other hair growth oils is very light and is a lot easier to be used as a leave-in conditioner. Due to its flexibility, you can use argan oil in multiple ways right from a before shampoo treatment to conditioning and hair mask treatments. 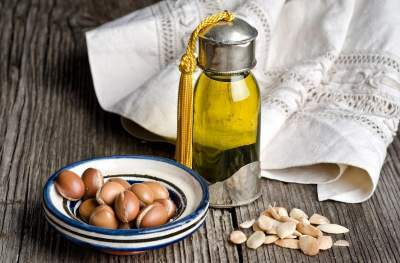 Even though argan oil is originally from Morocco, it is available in India, however, it is slightly expensive. The best argan oil in India is Olie Biologique which assures 100% purity. High-end cosmetic brands like Colorbar have included Argan oil in their hair serums and have turned out to be effective. This oil is an extract from the seeds of Jojoba plant that are found in California and Mexico. This hair growth oil is also a popular treatment for increasing hair growth. The original extract from the seeds is basically wax which is then processed. The best part of this oil is, unlike other oils, this one is completely odorless. Thanks to which, you have the freedom to use your favorite essential oils in combination with this one. The Jojoba oil, the best hair oil for hair fall, can provide good lubrication and help retain sebum of your skin and hair. It cleans your scalp and controls hair fall. Jojoba oil is another best solution for dry scalp. Another benefit of Jojoba oil is that it maintains your hair color. Hence, use of any other chemical after applying Jojoba oil would keep your quirky highlights vibrant. The consumption of Jojoba oil doesn’t have to be in large portions. In fact, it is advisable to use it in slender quantities for better effect. 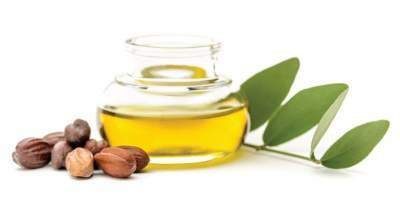 The effect of Jojoba oil can work better for hair fall when it is blended with other oils or mixtures. When it comes to buying Jojoba oil, always look for the purest one. In India, brands like Khadi and Soulflower have a good quality of Jojoba oils. 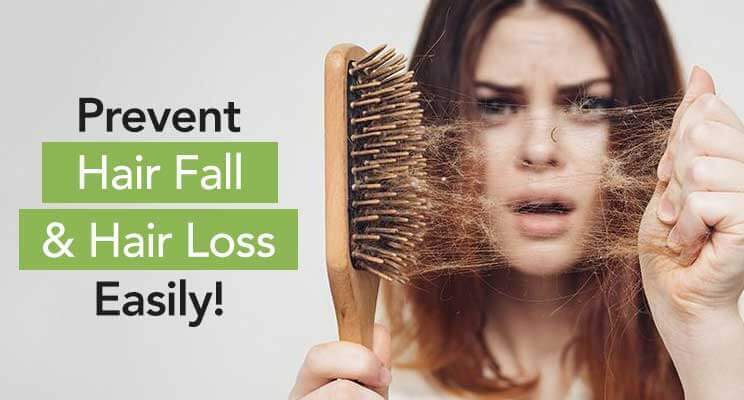 There are a lot of factors that cause hair fall. While a few of them can be taken care of, other causes can’t let you control hair fall. The main cause of hair fall is lack of vitamins. Vitamins give your hair strength and density and save them from getting brittle and breaking off. When your hair is strong, they grow faster effectively. Vitamin E is responsible for the nourishment of your hair. Other than that, Vitamin C and B are also essential. More reasons for hair fall are weak roots and dry scalp (dandruff). With a fast-pacing life and our inclination towards oily and fried food, it is difficult to have the right vitamins in our diet. Food adulteration or depletion in food quality can also be a reason behind low levels of the vitamin in our system. Sometimes, even stress or workload is responsible for this. Change in diet or taking vitamin tablets do help, but it’s a gradual process and will take a long time to yield results. Hence, outer nourishment is what we can start with. 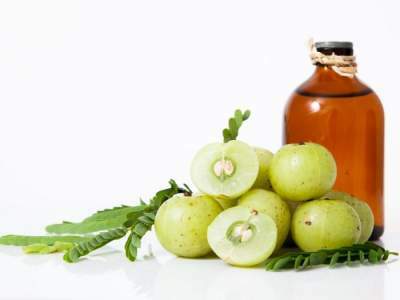 In India, Amla oil is one of the popular ones due to ease of availability. Amla oil is Vitamin C rich which is responsible for improving the hair texture and help absorb nutrients. This oil is very light to use, green in color and is arguably the best oil for fast hair growth. The anti-oxidants in the hair growth oil help in removing unwanted components from the roots of your hair giving them the air to become stronger. Amla oil works well for hair growth. A mixture of Amla oil with other hair growth oils mentioned above can speed up the process of hair regrowth or treatment of hair fall as it enables the scalp to absorb more nutrients. You can also use Amla Oil with Shikakai for better results. It also helps in maintaining connective tissues, hence, you can get rid of dandruff. Khadi Pure Amla Oil and Dabur Amla Oil are the beloved hair growth oils presently. Brands like Nihar and Patanjali also have their range of Amla hair oils. Walnuts are popular for increasing brain functioning. Alongside, it is also a VItamin E rich dry fruit. Walnut Oil is used by many people who face the hair fall problem. It helps in repairing weak hair cells. Evidently, frequent use of walnut oil has resulted in stronger hair. Walnut contains high amounts of Omega-6 fatty acids that play a vital role in hair growth. 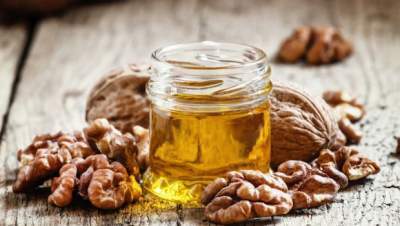 Consumption of walnut or walnut oil in your diet is also very helpful. Walnut oil can also act as a rich dye making your hair color rich and refined. For the best effect of Walnut oil, you can use it with Jojoba oil and keep it on your hair for 15 minutes. Wash your hair with a mild shampoo following that. Within two to three weeks you get to see strong results. When it comes to which walnut oil to use, it is always ideal to use the purely extracted one. So if you have access to it, you can go for it. The best brand that sells walnut oil in India is Forest Essentials. You can also try making your own walnut oil at home or use it with a combination of other hair growth oils. So guess what is Vitamin E rich in? Oil, my friend. Oiling keeps your scalp moist, even when your shampoo washes away your hair dry. Oiling your hair comes with more benefits; like massaging your hair with hair growth oil can relieve a lot of stress and increase blood circulation in your head. Oiling hardly takes up any time. Oiling your hair twice a week does the trick. You don’t have to keep it overnight, 30 minutes is more than enough. Disclaimer: Hair growth Oil treatment takes about 2 weeks to show effect. The results are never disappointing. When you were wondering which oil is good for hair and are seeking home remedies for your hair fall, onion must have popped up several times. Onion is such an effective source that within one to two months you can completely get rid of hair fall. Onions are filled with Vitamin E and are the best source in your diet. When we say onion oil, it’s completely different from the one you use for flavoring. Not a lot of brands sell onion oil, but if you could get one, it’s nothing like it. 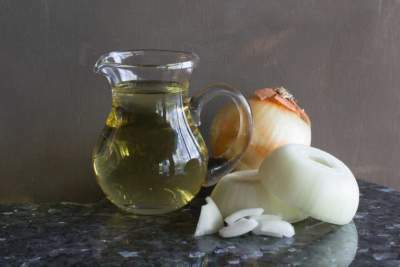 On the other hand, there is no as such need to buy onion oil for obvious reasons; onion is easily available and you can make your own onion oil at home. The process to make onion oil for your hair is super simple. All you need to do is extract the juice from grated onion with the help of a cotton cloth. Mix this extract with any of your favorite hair growth oil, preferably raw coconut oil. Keep it on for half an hour to one hour and wash it off with a mild shampoo. You also have the option of using the extract directly on your hair. If you must be wondering about the odor, it remains only while it is in your head. Once washed, the odor goes away. Onion works like a miracle when it comes to hair fall control and is definitely a must try option for hair fall. Other than adding a nutritional value to your meal, olive oil makes your hair manageable and soft. We are aware that olive oil is a very good for our diet as it contains multiple vitamins. For the same reason, olive oil is really good for hair growth. Access to multiple vitamins means good input of nutrients and hence, better results. If your hair happens to be oily, Olive oil is the best option as it is pretty light on your hair. Also, Olive oil can get rid of dandruff effectively. It is also a good option to opt for if you want to have longer hair. Just like Amla oil, Olive oil, too, works best with a mixture of contents. An equal combination of coconut oil, jojoba oil, and olive oil works like miracles for your hair. You can also pitch in onion extract in this for better results. Olive oil and aloe vera are very good for the well being of your hair as you get an improved texture and smooth hair. Extra Virgin Olive oil is in its purest form and can give better results. Olive oil is not difficult to get in the market, you’ll pretty much find it anywhere. On one hand, you have brands like Borges and Figaro that give an olive oil that can be used for multiple purposes. On the other hand, you have brands like Khadi, Body Shop, Soulflower, and Vatika have their own range of Olive Oil just for hair that can be used as a hair growth oil. Along with Vitamin E, different types of oils come with different nutrients and qualities. That’s when understanding your hair type plays a role. Different oils have different effects on your hair. The best way to know what’s right for your hair is the trial and error method. While it takes a lot of courage to even think about experimenting with them at this stage, it can be assured that raw form of oils doesn’t do much damage to your hair. Also, the experiment is don’t with a conscious effort by understanding the properties of each hair oil and what effect they have on your hair. You can also use a mixture of oils combining different properties for a better effect. Here is a list of ten best hair oils for hair growth with their qualities and effect. Far ahead of its competitor oils in popularity, Bhringraj Oil is terribly easy to extract and has multiple advantages to offer. So easy in fact, you can make the herb into oil at home. The hair growth oil holds the capability of getting rid of problems such as hair fall and baldness. Bhringraj oil is surely strong, but its effects are equally positive. You find an effective solution for your hair fall problems within a short period of time. Bhringraj oil is mentioned several times in Ayurveda as the best solution for hair fall and hair loss. A head massage using this hair growth oil is also a very big stress buster. As the oil is strong, you can apply the oil for a few hours and then go for a head wash. Bhringraj Oil goes well with Amla oil, Coconut oil, Sesame oil, or Hibiscus oil. But for best results, you can use Bhringraj oil with Shikakai. The best Bhringraj oil is simply the one made at home. But, if you don’t have the time to make it, there are good brands available in the market. Aloe Veda, Biotique, and Oxyglow are most recommended. Essential oils have more health benefits than one can imagine. It carries the odor of the respective plant, basically a concentrated extract obtained through distillation. Of all the essential oils, lavender is the most beloved for the scent it carries. 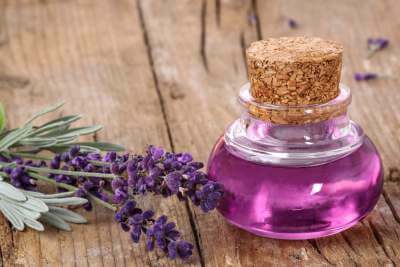 Lavender oil has many medicinal qualities and can be used to cure minor injuries. Lavender oil is light on your hair and can be spread throughout easily. As a bonus, you also get fragrant hair. Lavender oil moisturizes your scalp effectively when massaged through them as it helps retain their sebum. A few drops of lavender oil are more than enough to use once throughout your hair. As you use it in lesser quantities, you can mix it up with other hair growth oils like coconut or olive oil. The purest form of lavender oil works best. The more concentrated it is, the better is its effect. In India, you can get Nature’s Absolutes Lavender essential oil or Soulflower essential oil that show evident results. Bottom line is that Oiling your hair is the best, safest, and the most natural way of obtaining effective hair growth. The best and the most effective hair growth oils are the ones that are least processed and raw. But you can always select the appropriate brand as a second option.There is no harm in mixing up two or more oils together, but you need to understand if it works for your hair. Oiling your hair doesn’t always mean it will give you an oily look. From a variety of hair growth oils available, there are some that give your hair required amount of moisture and suit the best. Oil treatment for hair growth takes time, hence, you need to be patient and consistent with the treatment and if you manage to take at least one hour in a week and pamper your hair all the love it needs, then you’ll start seeing the difference in no time. So guess what is Vitamin E rich in? Oil, my friend. Using the best oil for hair growth keeps your scalp moist, even when your shampoo washes away your hair dry. Oiling your hair comes with more benefits; like massaging your hair with hair growth oil can relieve a lot of stress and increase blood circulation in your head. Oiling hardly takes up any time. Oiling your hair twice a week does the trick. You don’t have to keep it overnight, 30 minutes is more than enough. Disclaimer: Hair growth Oil treatment takes about 2 weeks to show effect. The results are never disappointing and hair fall control oils are surprisingly easy to find too!